And this is exciting, because the item I've been offered for a T-shirt comes with an amazing story! Ruan Smit is about to explore South Africa on a bicycle with the aim of telling stories of all the people and the places he visits on his trip. I met up with him a few days ago to chat about his tour, and I was blown away by the passion and enthusiasm he has not only for this tour, but for his South Africa. After I witnessed him light up as he told me his plans, I cracked a joke, as I was so in awe of his passion and energy, I didn't know what else to say. For the next 9000km starting on Saturday 13 February we will explore a country that believes in UBUNTU. We will be inspired by people that have dreams. We will visit areas that we won't want to leave. We'll have instances that we want to cry at what we see. We will meet a country through its people. We will understand how rain and sun and wind and fire effects the life of a country that diverse and yet unified. Ruan has a dream that this journey of two months on a bicycle will open up our country. His wish is that the personality of South Africa will shine through the stories he gathers, and that will happen through the participation of everyone in this journey, as it is a South African journey. I'm very excited about Ruan's journey and I look forward to seeing my country through all the amazing people he is going to meet. I hope you'll join me in being a part of this journey and when Ruan passes through your home town, give him a cheer! He starts his journey this Saturday from Mary Fitzgerald Square in Newtown, Johannesburg, at 6:30. I'll be there to cheer him off, will you Jo'burgers join us? I digress though- I'm meant to be telling you about the trade Ruan's offered me. But it's hard for me to not get excited about the Explore SA tour! So, back to the trade. 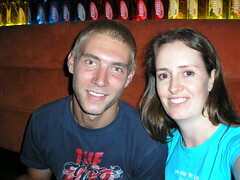 Ruan has had 5 cycling tops made for his trip, and has offered me one for one of my Springleap T-shirts. So if you're into cycling, or just like the sporty look, then you'll want to consider doing a 3 way trade with Ruan and me. It's one of 5 made so far. And it's yours for only R183.00! 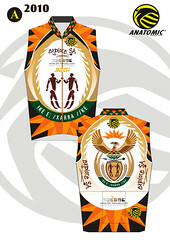 If you want this Explore SA Cycling Top then CALL ME 0837302979. It's a great 3 way deal!